If you follow this blog regularly, you probably know that I enjoy this kind of street shot with one person walking parallel to the plane of the shot. In fact I probably abuse these kinds of shots, so recently I’ve tried to engineer a bit more relevance between the walking figure and the background. 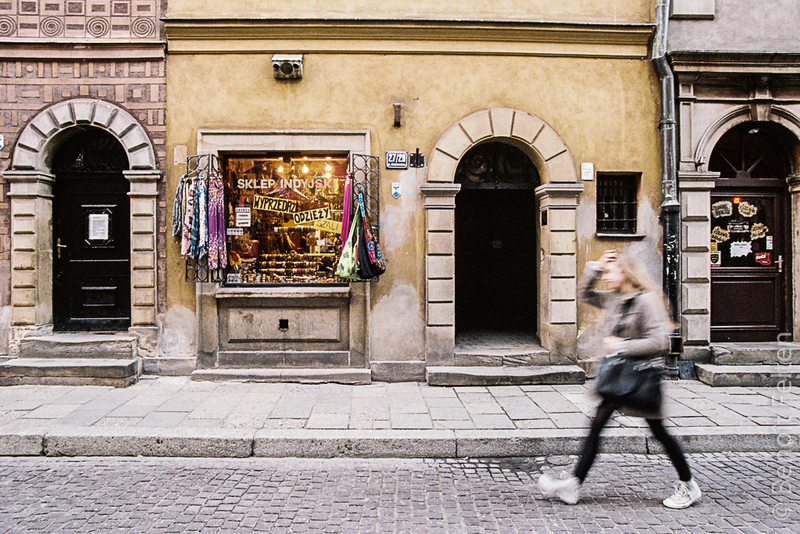 I think I may have succeeded with this shot of Old Town Warsaw.